Visit NRS's Crossover Shirt page. The Women's NRS Crossover Shirt is at home in the canyons of America's western rivers. This baselayer dries quickly after splashy rapids and wicks moisture when you go for a long afternoon hike to stretch your legs out. 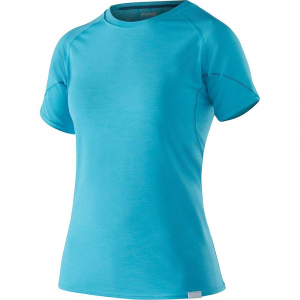 NRS Women's Crossover Shirt - The NRS staff didn't mess around with style when designing the Women's Crossover T. The tee neck drop gives it riverside appeal with the function and fit you desire on the water. This lightweight breathable garment is ready to protect you with a UPF 45 MicroLite in the body and UPF 50+ HydroSilk in the shoulders. 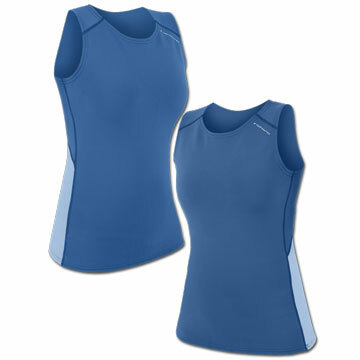 Constructed with a nylon/spandex blend that wicks moisture away from the body and dries quickly keeping you dry and cool. 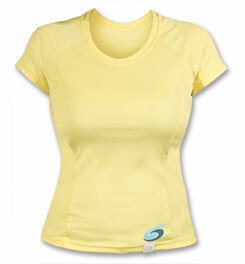 Have fun in the sun on the water and out with the NRS' Women's Crossover Shirt. Protect yourself in style. 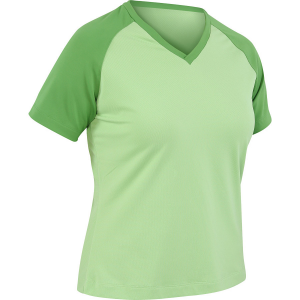 The NRS Women's Crossover Short Sleeve Shirt blocks harmful UV rays while wicking and drying quickly, keeping you cool and dry while you have fun in the sun. 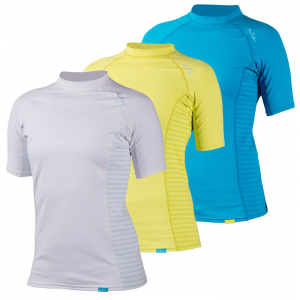 This comfortable paddling shirt efficiently wicks moisture to serve as a great base layer on all kinds of outdoor adventures. 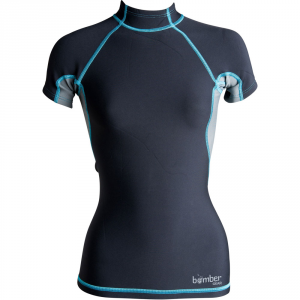 It also is equipped with UPF 45 and UPF 50+ fabric panels to protect you from the sun on warm days when you wear it as an outer layer. Quick-drying nylon/spandex Microlite fabric is silky smooth. Relaxed fit. Imported. Machine wash and dry. The NRS Women's Crossover Shirt is not available from the stores we monitor. It was last seen May 2, 2018	at Backcountry.com.